On this Thanksgiving Sunday I have so much to be thankful for. But seeing as this is a food blog, I’m going to mention the people in my life I’m thankful of for helping foster my passion for food. I’m thankful for my families, on both sides, for not only sharing my love for food, but also for being patient with my obsession with it. I’m thankful for Ben who is patient when I get grumpy if I’m not being fed properly, for never questioning my choice of restaurants, for being my guinea pig whenever I try out a new recipe and for indulging me in my desire to drive 20 miles out-of-the-way to check out a farmer’s market or food stall. I’m thankful for Jo&Henry who have been so supportive and encouraging with me and my blog. I’m also thankful to them for being willing parties on many travel adventures that have revolved around food. 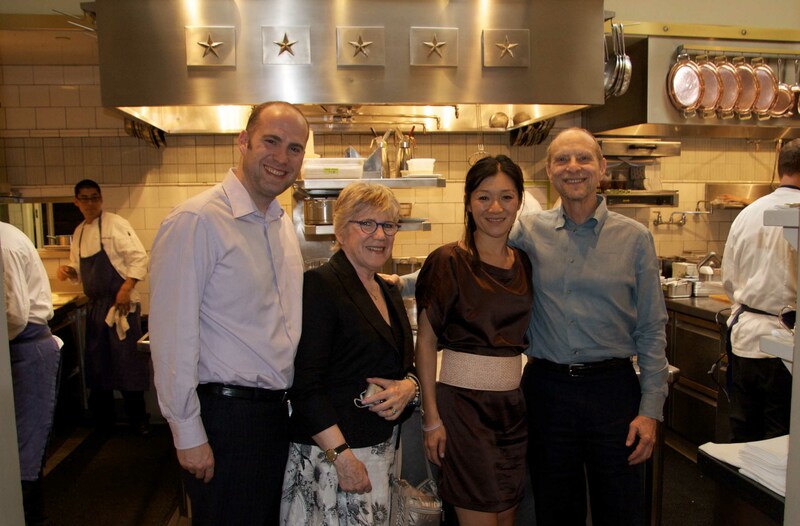 This is us in the kitchen of the French Laundry. Like I said, I have a lot to be thankful for. 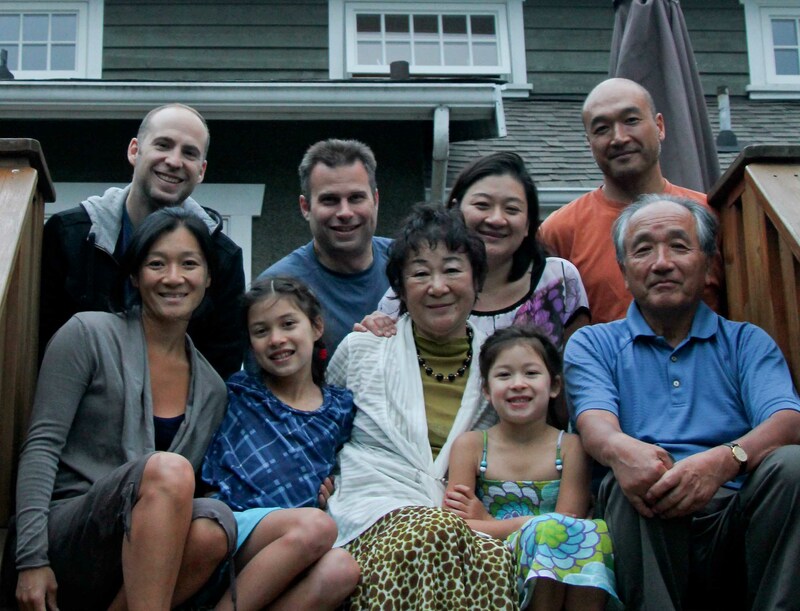 I’m thankful to my family, for understanding the importance of the family dinner in whatever shape or form it takes. My brother, sister and I are very close and we use sharing meals as our excuse to spend time together. I’m thankful to my father for teaching me how to pick out perfect produce and for bringing me to Fujiya every weekend as a child. I’m also thankful to my dad because he always encouraged me to try different foods, telling everyone that I liked even the weirdest things. Even if I was skeptical, I made myself try it only just to make my dad happy. There was rarely a food I didn’t like and I owe my sense of food adventure to him, (even though he himself isn’t all that adventurous). I’m thankful to my mother for teaching me to be comfortable in the kitchen and passing on her passion for cooking. I take pride in having an excellent palate that has been developed through careful training in my mom’s kitchen, because she never measured anything, it was always by taste (up until now). I’m thankful she was and still is a patent teacher who has passed her tricks and secrets in the kitchen on to me. The whole Bando-clando. All smiles after a dinner together at my mom's favorite Olympia Pizza for lasagna and ribs. I spent this Thanksgiving Sunday in the kitchen with my mom. I’ve asked her to start teaching me how to make some of my favorite Japanese dishes. We spent the afternoon trying to recreate, this time with careful measurements, some great dishes. I’ll be posting these over the next few weeks.